If Brazil is Technicolor, Rocinha is neon. 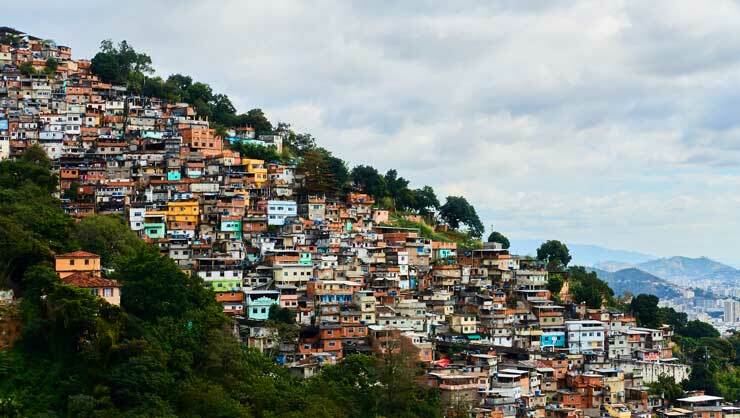 The largest favela (Portuguese for a low-income, informal urban area) in Brazil, Rocinha is home to anywhere from 150,000 to 300,000 residents, clustered between two hills in the South Zone of Rio de Janeiro. 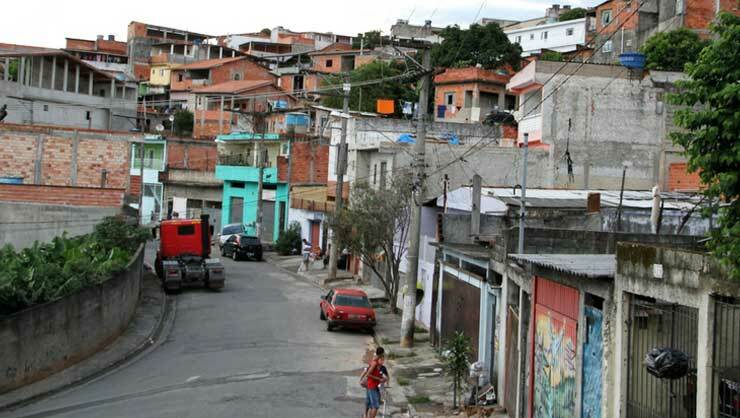 With the support from an InterExchange Foundation Christianson Grant, I'm spending a year working here with Project Favela, a refuge for children in the community. Project Favela is a local NGO offering free educational services to the community. The Project's brightly colored classrooms reflect the vibrancy of the community outside, painted with murals paying tribute to the project's godfather, Tio Lino, or "Uncle Lino” in English. Image courtesy of Liliana H.
Tio Lino, a lifelong Rocinha resident, first opened his home to children in the community over 20 years ago, offering them a place to find stability and uncover creativity in the hours spent outside school. Since Brazil's public school day is only three-and-a-half to four-hours long, there was much to be done. Tio Lino's work was not only meant to mitigate educational deficiencies and keep children off the street, but also to address larger social justice issues in Brazil that lead to unequal access to social goods and exacerbate inequality. 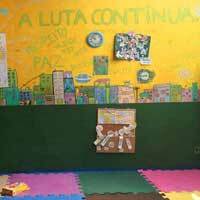 The wall above our main meeting space, emblazoned with the words "A luta continua” ("The fight continues”) reminds Project Favela daily of its mission. Since its beginnings, the project has grown and transformed under the guidance of President Scott Miles, offering a year-round STEM and English academy and pre-school, in addition to the art classes that started it all. While Tio Lino has since passed, his memory is strongly felt by the dozens of children and adults who attend classes each day, and by the international staff of volunteers who work together to honor his legacy through teaching. 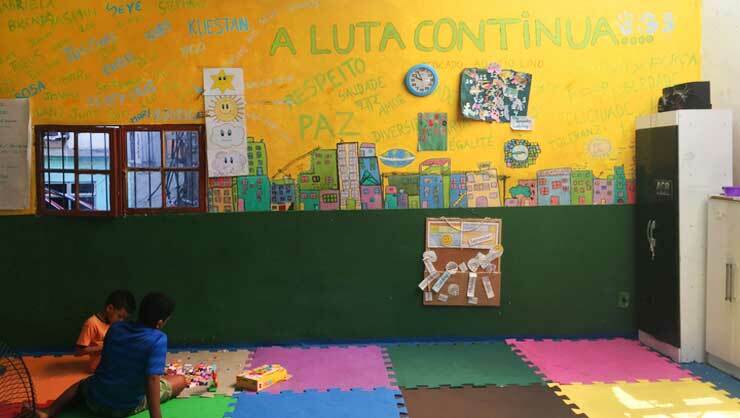 While I knew that Project Favela was special before arriving in Rocinha, I only fully understood why Tio Lino and so many others had worked so hard to serve the children of Rocinha once I stepped inside the building. Our students are bursting with energy, and here they have the chance to apply it to the subjects that most excite them, often with the individual guidance of their volunteer teachers. Only a minority of low-income Brazilian students completes high school, but it's not due to an unwillingness to learn. Given the choice to choose an activity for his free period this week, for example, one of our ten-year-old students asked if he could work on multiplication exercises. While not every student shares his enthusiasm for numbers, they all possess a passion for education. The importance of the refuge the school offers was underlined when gang violence erupted in the favela one week, closing public schools and causing many of our students to stay home for their own safety. Those who live close to the school and were able to attend, however, dedicated themselves to their work with renewed vigor—eager to lose themselves in something and distract them from the anxiety pervading Rocinha's narrow streets. As Director of In-Country Operations, I'm fortunate to have an incredible team of volunteers willing to dedicate themselves to the complex and often exhausting task of teaching our students, who range from pre-schoolers to adult English learners. As I learn the ropes at Project Favela, they have set an example for how to both challenge and support their pupils, bringing unique and global perspectives to the task. We have a Spanish engineer teaching science, a German economist helping with coding, and a British songwriter leading art class—to name a few. I can't wait to see what we can achieve as an organization in the coming year as we continue to build on Tio Lino's legacy! Liliana volunteers in Brazil with the help of a Christianson Grant, from the InterExchange Foundation.